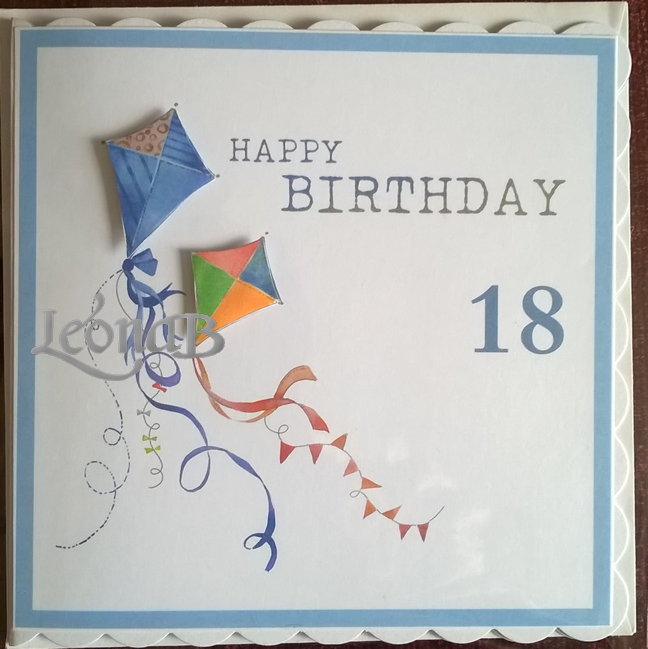 18 today – Up, up and away! I do like a CAS card, so here is another one today. I printed out a design created on Craft Artist 2. The artwork came from a Victoria Nelson Digikit called Birthday. I printed oued just the kites from the image and cut them to layer them up usg foam pads. For this card Polkadoodles bird elements that came free with a magazine and printed them out . They were fussy cut and stuck using 3d pads next to an age 11. This was layered onto a 6 x 6 card CAS -style. Today’s make is a commissioned piece. 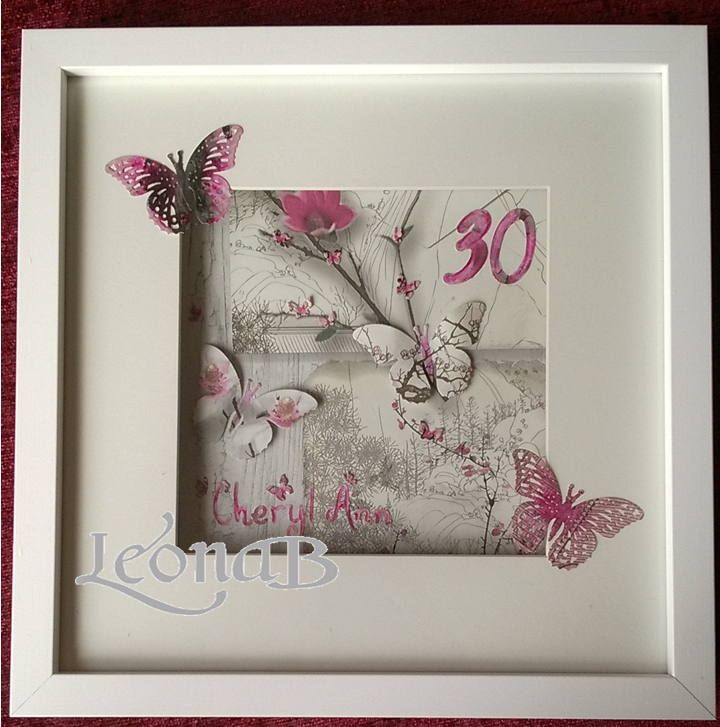 I bought a deep box frame and cut butterfiles from a scrap of wallpaper using Spellbinders. 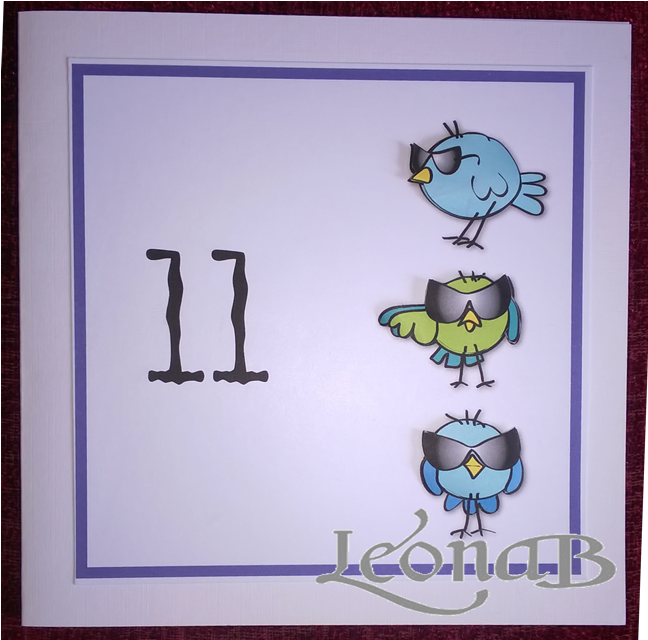 The letters are cut using Sizzix “Monde de Blonde” and the numbers are cut using Tonic dies. 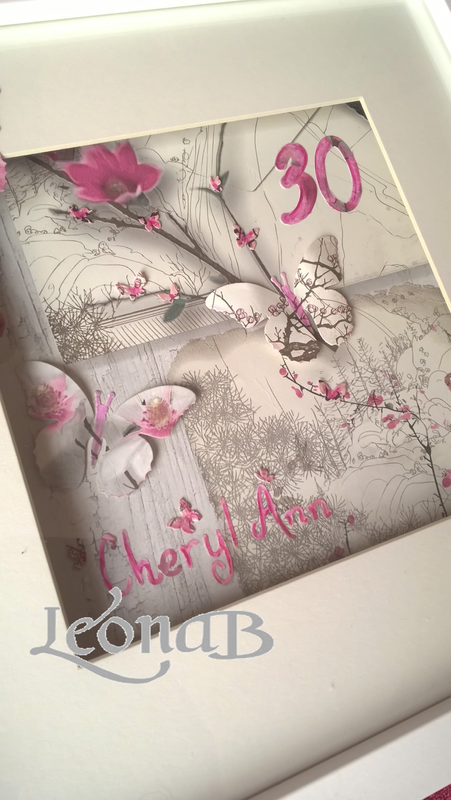 I used Promarkers to enhance the colours so that the letters, numbers and some parts of butterfly would stand out against the patterned backing paper – also wallpaper scraps. Creative Moments Challenge – Kids Rule! The new challenge at Creative Moments is sponsored by All Dressed up who have designed this sweet boys’ digistamp. 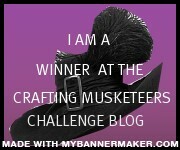 The theme at Creative Moments is Kids Rule so dopopover and take a look at he other DT Makes. I have opted for a CAS style with just 3 colours – red, grey and blue. The sentiment was printed on the computer. 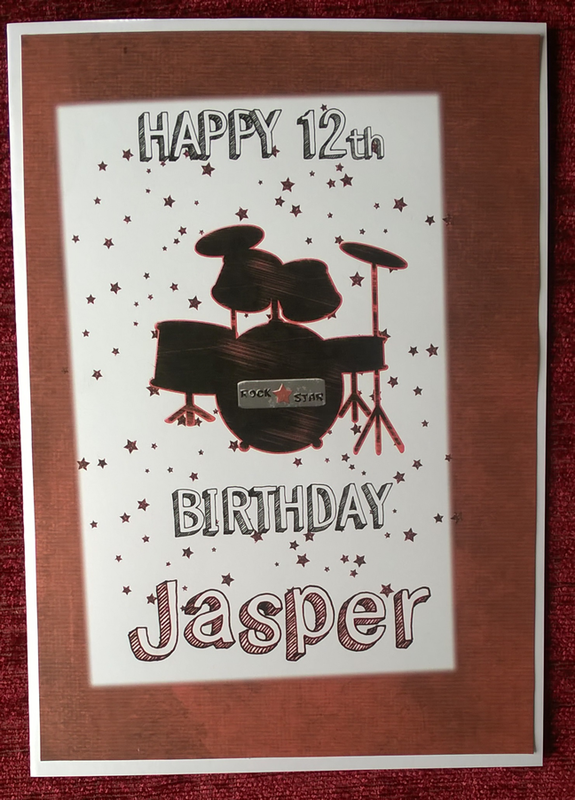 I is my middle child’s birthday today and I have made him a card using a digikit called RockStar from Daily Trail. 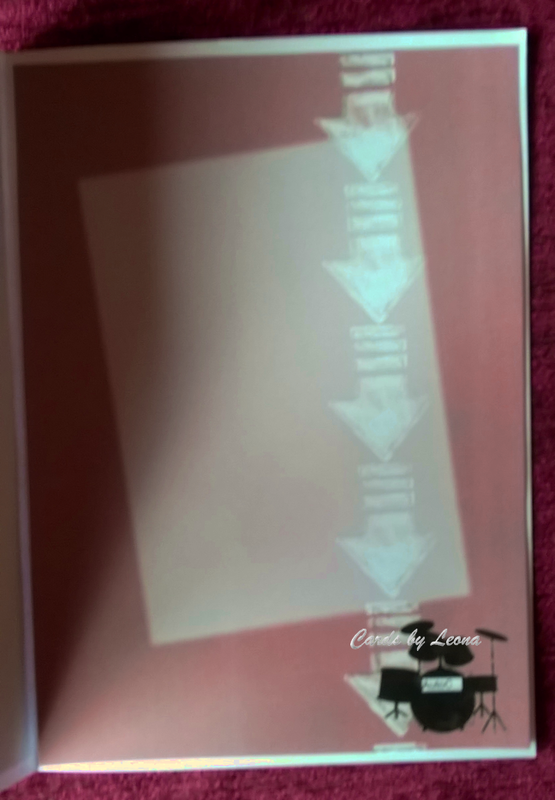 The cards is flat and has a co-ordinatinting insert. The font came from a different digikit. 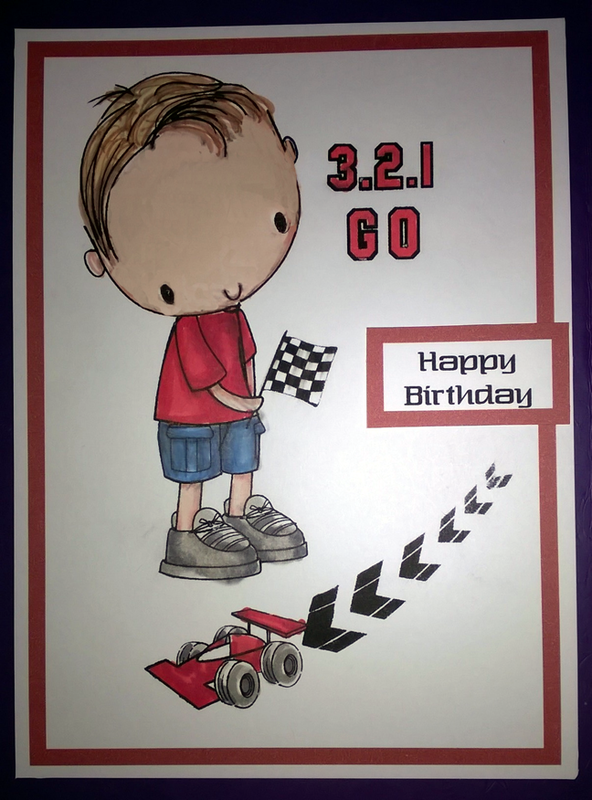 I love the simplicity of this card as my boy – like most 12-year-olds is not into fussy cards. Docrafts products were used to make today’s card. 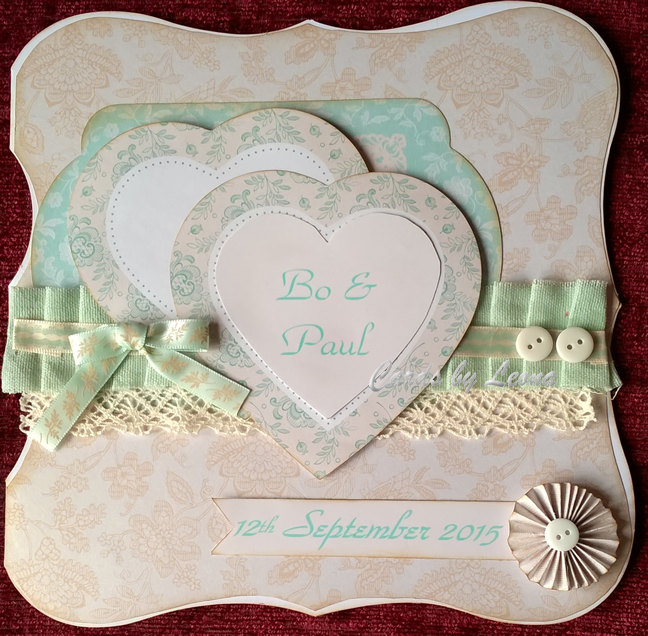 I used the capsule ranges in Eau de nil and Blush and layered the ribbons up with some cream lace. The card is a shaped 8 x 8″ and allthe pieces were lightly distressed using Vintage Photo by Ranger. 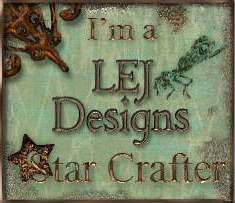 The latest challenge at Creative Moments is sponsored by Oddball Art. I used Lizzy Love image and coloured her with pik hair for the birthday of a teen I know. 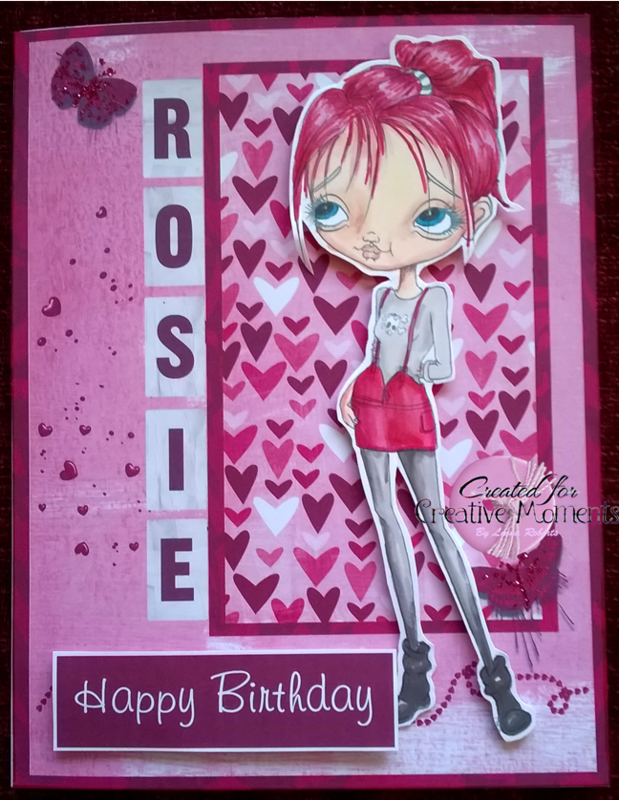 The background was made using a Serf digikit call Wild Hearts by Peppermint Creative.